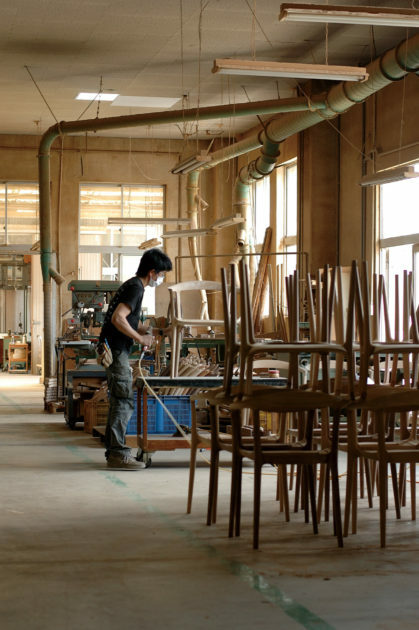 Miyazaki Chair Factory is a furniture manufacturer established in 1969, who is dedicated to wooden chairs. 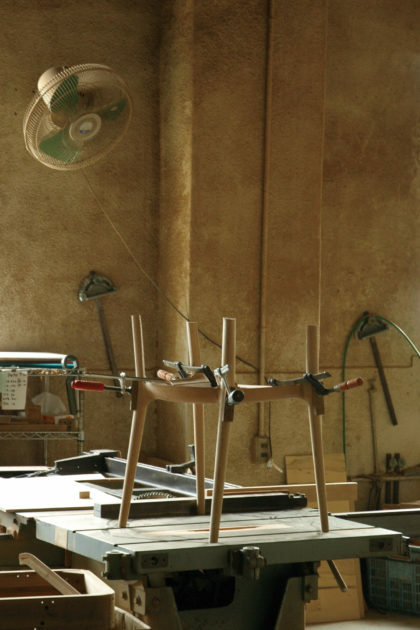 We developed our technique in manufacturing chairs of Awa dressers, which are the local products, and began to manufacture chairs of our own brand in 2000. In cooperation mainly with the furniture designers, Murasawa Kazuteru, Koizumi Makoto, as well as Inoda+Sveje, Kai Kristiansen and some other designers, we elaborate to develop our designs. At our factory, we store and cut diverse wooden materials which are fully dried in consistent and delicate in-house production. 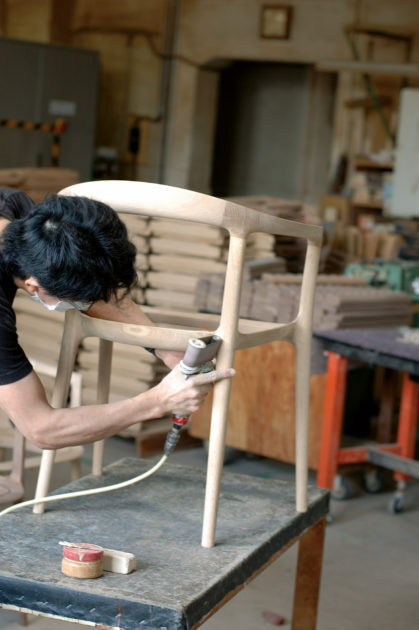 Necessary materials at necessary time in necessary volume: we provide freshly-made wood chairs in the made-to-order system. 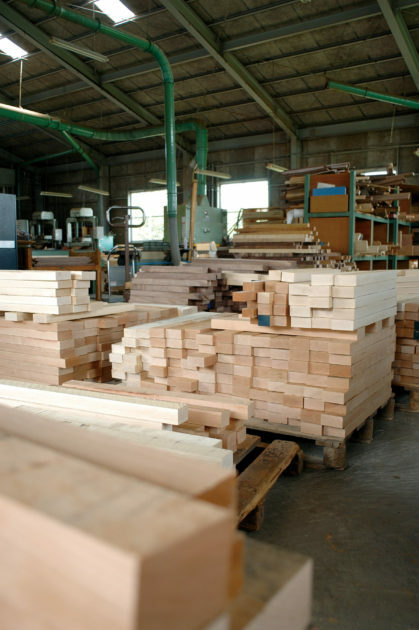 6 to 8 kinds of wood materials such as oak, maple, walnut, teak, etc. are prepared for over 50 items. You can choose the chair that suits your taste and design of space. Focusing on what we make into leads to good quality, responsibility and is a source of joy in manufacturing. The technique is to seek the best way of production. 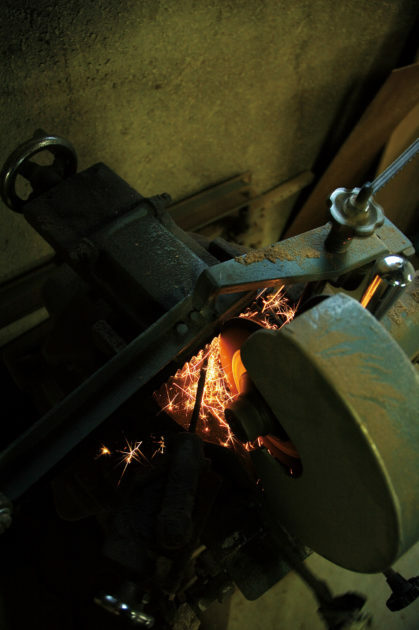 We want to continue to use the traditional cutting tools as well as applying accuracy and rationality of the advanced equipment to utilise them as tools extended from our hands for manufacturing. To be able to do something we could not do without overcoming this conflict -we are continuously challenging ourselves in our workplace to seek such techniques. The parts accurately processed are assembled by hand and are nished with beeswax of 100% natural ingredients. Checking by eyes and hands is done all over the frame, and inspection is simultaneously conducted in the course of manufacture. 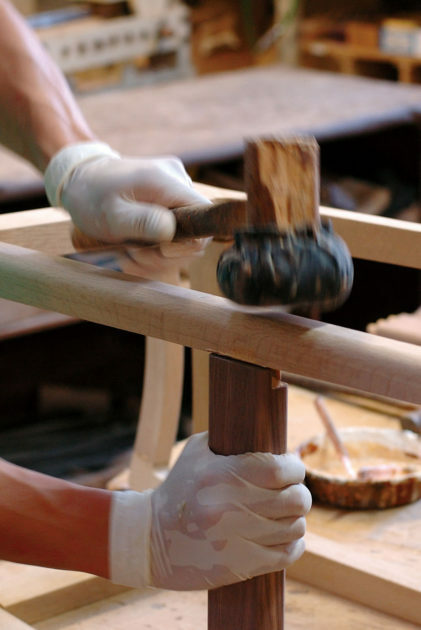 Cutting, sewing and upholstery are the nal process to nish the chairs. 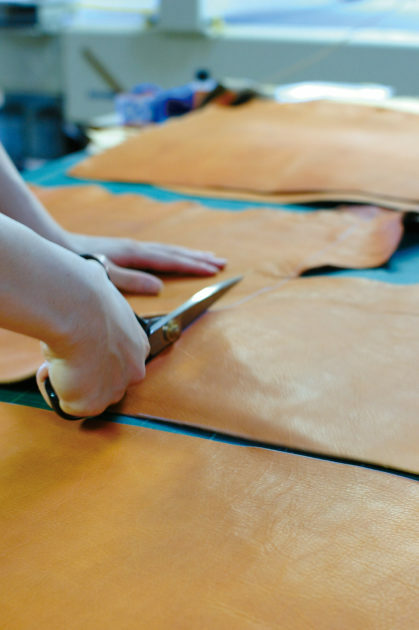 Leather is cut by avoiding scratches, the fabric is sewn into a three-dimensional shape with the texture matched and upholstery is done so that the fabric ts the wooden part. The craftsmen pour their delicate technique into such nish work. 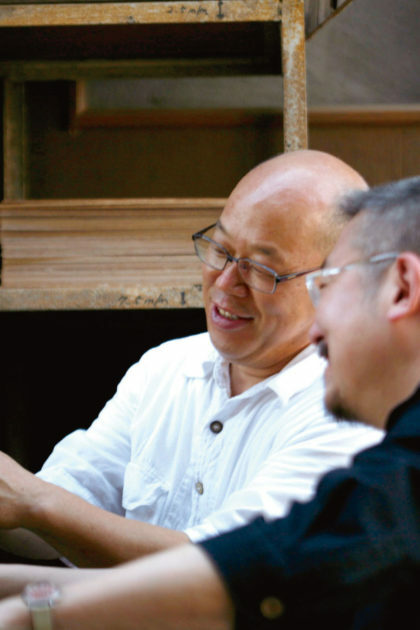 The designers and craftsmen check the full-size prototypes by being dusted with wood powder. The workshop-style development system to create by using hands at the workplace is the dynamics of our design work. Each production serial No. is our promise of quality. We are working as manufacture focusing on the connection with the users by developing partnership with cooperative distributors who have strong relationships with the users.